The nearly 30-year relationship between The University of Scranton’s Panuska College of Professional Studies’ Health Administration Program and St. Elizabeth University of Health and Social Work and Trnava University, Slovak Republic, has resulted in numerous faculty and student exchanges that have benefited both the education of health care providers and the care of patients across the globe.From left, University of Scranton President Rev. 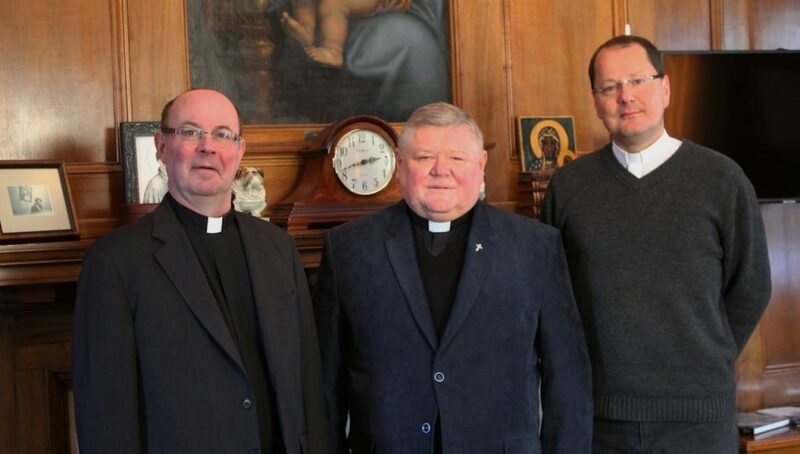 Scott R. Pilarz, S.J., met with Most Reverend Viliam Judak, Bishop of the Diocese of Nitra, Slovak Republic, and Monsignor Martin Stofko, Diocese of Nitra, Slovak Republic, during a recent visit to Scranton. Castles built in stone will surely last longer than those made of sand. The same can be true of relationships. Those built on a solid foundation, such as a shared mission, would surely be best suited to stand the test of time. 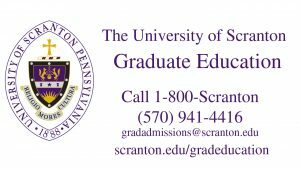 For nearly 30 years, The University of Scranton has enjoyed just such a relationship with St. Elizabeth University of Health and Social Work, a Catholic college in Bratislava, Slovak Republic, and Trnava University, Trnava, Slovak Republic. A recent visit to Scranton by Most Reverend Viliam Judak, Bishop of the Diocese of Nitra, Slovak Republic, and Monsignor Martin Stofko, Diocese of Nitra, Slovak Republic, highlights the common foundation and strong bonds shared by Scranton and St. Elizabeth University and Catholic church in the former communist state. “St. Elizabeth University was created as a private Catholic university so that they could serve the poor both in Slovakia and also communities external to Slovakia,” said Daniel J. West Jr., Ph.D., professor and chair of Scranton’s Department of Health Administration and Human Resources. St. Elizabeth University offers bachelor’s, master’s and doctoral level education in numerous health related fields and has more than 40 science-pedagogical facilities in more than 20 countries. The partnership between the Panuska College of Professional Studies’ Health Administration Program and the Catholic institution has brought numerous faculty and student exchanges that have benefited both the education of health care providers and the care of patients across the globe. In addition to its educational mission, St. Elizabeth University actively serves the sick and poor irrespective of the race, nationality and religious orientation, in the Slovak Republic, as well as through its health, humanitarian, social, charitable and missionary facilities in Ukraine, Cambodia, Kenya, Ethiopia, Uganda, Sudan, Nairobi, Haiti and a dozen other countries. 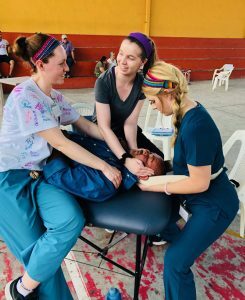 Scranton – with a commitment to provide a transformational educational experience to our students that is engaged, integrated and global – has partnered with St. Elizabeth’s to provide experiences abroad for our Master in Health Administration (MHA) students. Dr. West said the relationship with St. Elizabeth has developed “block by block” over time, recalling that the University though its numerous efforts in Haiti, introduced St. Elizabeth University to the many needs of the poor of the that nation. Subsequently, St. Elizabeth’s has started two health care projects in Haiti, one in the north and one in the south. But, Dr. West said it is the students that ultimately benefit the most from the relationship. “Each time our MHA students visit St. Elizabeth’s in Bratislava, we also visit some area around the city. One area we always visit is Nitra and when we visit, the Bishop invites us to his table, which is really in a very large castle. He allows us to tour a museum that not everyone has the chance to see,” said Dr. West. 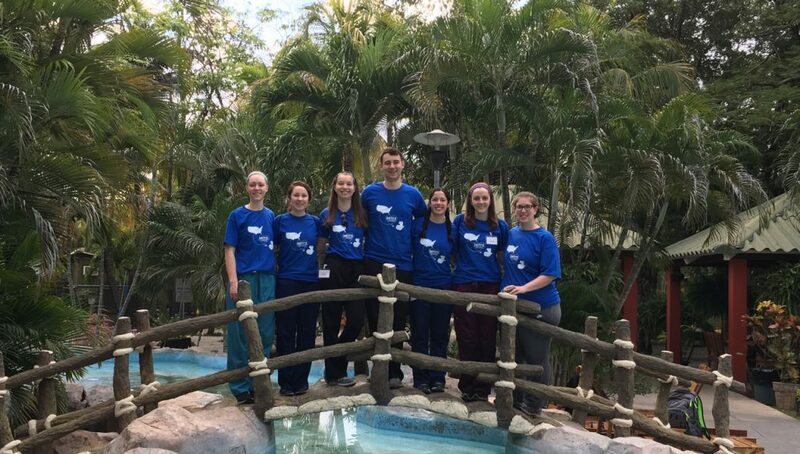 This year, two groups of MHA students will travel to St. Elizabeth’s in the spring semester. Students will see first-hand the lasting strength of castles built of stone – and of partnerships formed on a solid foundation. Learn more about the MHA program at The University of Scranton.